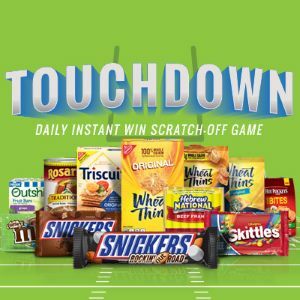 Check out this instant win game that Kroger just put out. It’s called their Game Day Greats game and there are a ton of prizes, 87,400 to be exact. The best part is that since it’s an instant win game, you can get your stuff right way, no waiting. The game is live now through September 23, 2017 and you can play daily. See the big list of prizes below. Play for free right here.